QuarkNet is a nationwide program, ultimately involving 60 universities and laboratories across the US. The goal of the program is to bring high school students, physics teachers and particle physicists together to further physics education. Teachers and students work with real data from one or more laboratories around the country, learning how to interpret the data and further their understanding of high energy physics. Other activities include actually fabricating components for the large detectors at Stanford (SLAC) or Geneva, Switzerland (CERN), and building a portable cosmic ray detector that can be used in the classroom. To learn more about the program, click on the QuarkNet link at the left. To see a copy of the program's brochure, detailing a bit more information and contacts, click here. 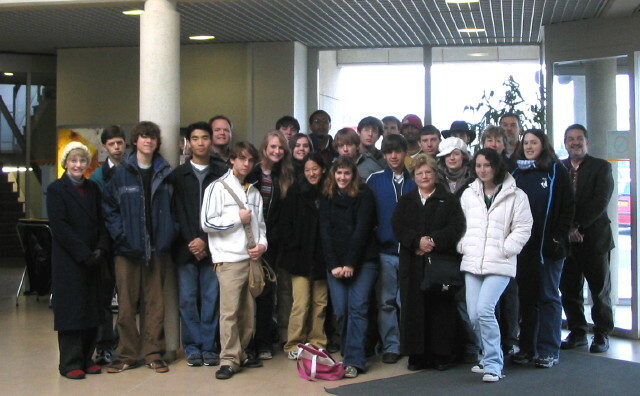 The group at the University of Mississippi is somewhat unique in the fact that most of the high energy group is involved in the project in one form or another. The professors include Dr. James Reidy, Sr. who is overseeing the program, Dr. Rob Kroeger, who is providing additional physics background to the high school teachers involved, Dr. Lucien Cremaldi, who is working with the teachers on taking measurements associated with the Auger Project (more on that below), and Dr. Don Summers, an additional source for help and advice on particle detectors. 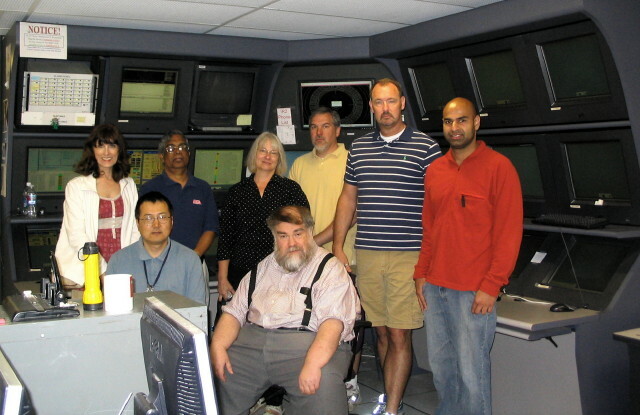 Another invaluable resource has been Dr. David Sanders, the computer specialist in the department who as also done work in detector assembly. The high school teachers involved this year include Jim Reidy, Jr., a physics and chemistry teacher at Oxford High School in Oxford, Mississippi, and Ken Wester who teaches several levels of physics at the Mississippi School for Mathematics and Science in Columbus, Mississippi. If you're interested, you can see the entire group here! We spent several days at Fermilab, touring the facility and gaining a better understanding of how the lab operates. 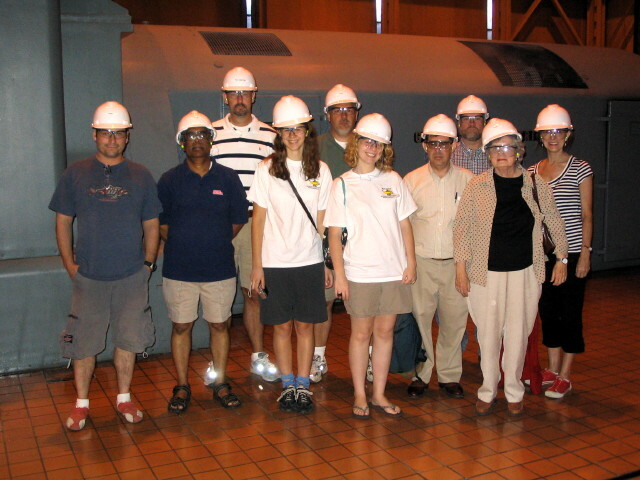 We also visited the Leon Lederman Science Center and the Teacher Resource Center at Fermilab. For teachers interested in activities related to particle physics, these are both wonderful resources. We have been taking measurements on how light is reflected off the surface of Tyvek, a material produced by 3M which is used to line the cosmic ray detectors utilized in the Pierre Auger (pronounced "oh-ZHAY") Project. To find out more about cosmic rays or the Pierre Auger Project, follow this link. We attended semi-annual meeting of high energy physicists from around the country and around the world, Snowmass2001, held at Snowmass Village, Colorado. Here physicists come together to discuss issues in the field of high energy physics and the direction that research should follow in the coming years. The QuarkNet teachers from around the country were invited to attend a weeklong workshop where we learned how to analyze data generated by the particle detectors and how to incorporate particle physics in a high school classroom environment. At the QuarkNet meeting in Snowmass, each team was able to build a cosmic ray detector, consisting of two scintillators and a numeric display that counts the number of cosmic rays coming in over a given time period. We hope to use this in the classroom this coming year to plot data looking at dependence on time of day, types and amount of shielding, and even the lifetime of a muon (the prime constituent of the cosmic rays reaching the ground). In the near future we hope to construct a portable solid-state cosmic ray detector that has a display showing the actual tracks of these particles as they enter the detector.We are working on getting the parts now and should be able to construct the unit within the next month or two.You can also view a QuickTime Movie (3.7 MB) of the output display of this device by visiting http://quarknet.fnal.gov/materials. 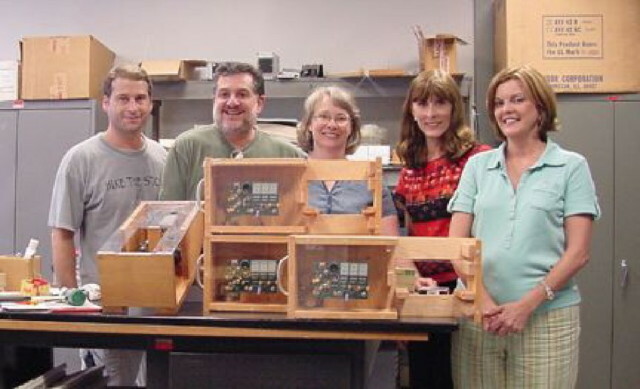 At the summer work QuarkNet workshop at the Univeristy of Mississippi, the teachers constructed Muon detectors. 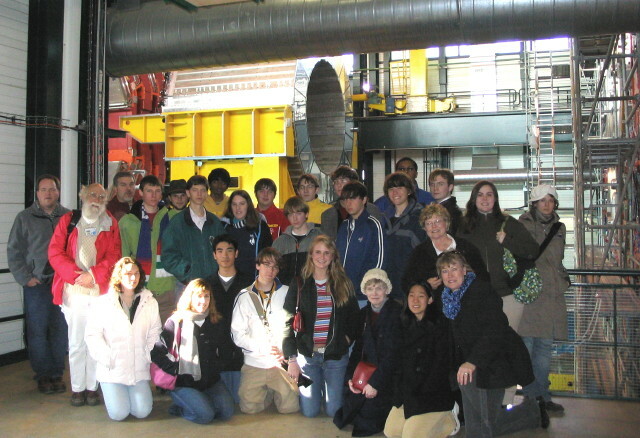 In March a group of teachers and students from Mississippi Math Science High School toured (CERN). At CERN they visited the Compact Muon Solenoid (CMS) detector assembly and the H2 Test beam areas. 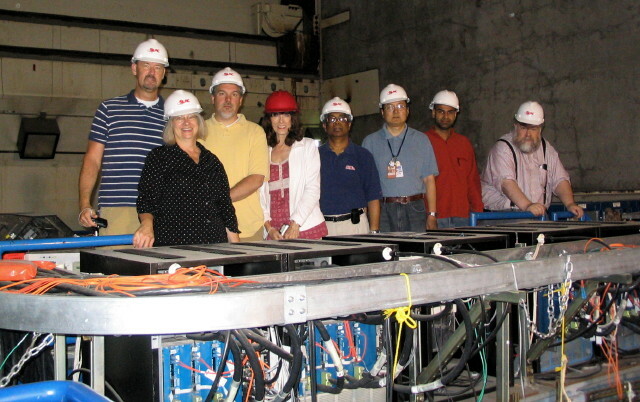 The QuarkNet teachers and students went on a tour of the Oak Ridge National Laboratory (ORNL). 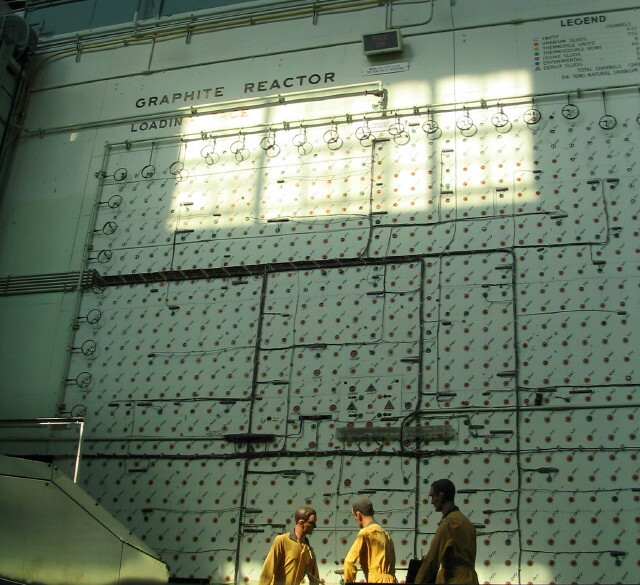 As part of the tour we saw the old reactor, the computing facilities, the image processing facilities and the Spallation Neutron Source (SNS). We also saw the TVA Bull Run Fossil Plant, a coal power plant. 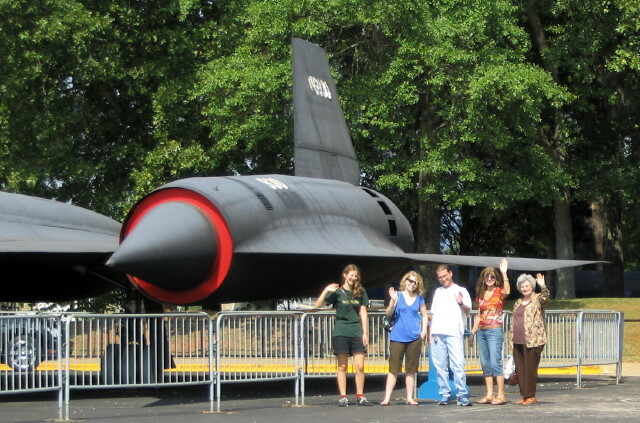 On the way to Oak Ridge, the group from the Oxford are also stopped at the U.S. Space and Rocket Center in Huntsville AL. 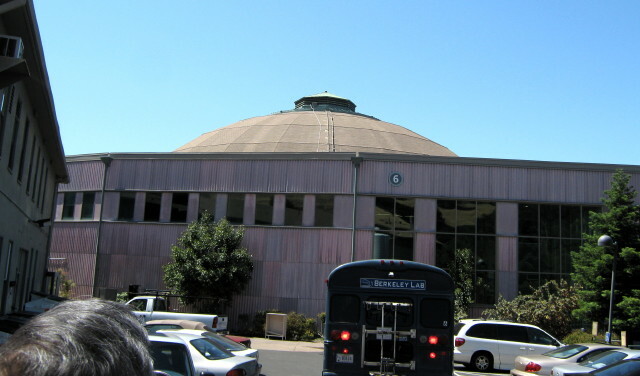 The QuarkNet teachers went on a tour of the Stanford Linear Accelerator Center (SLAC) and the Lawrence Berkeley National Laboratory (LBNL). 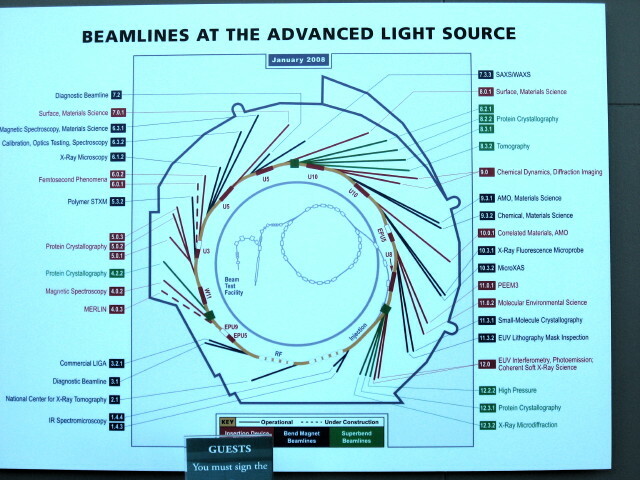 At SLAC we visited the BABAR and SLD experiment halls and saw the Klystron Gallery and End Station A as well as the site of the upcoming Linac Coherent Light Source (LCLS). 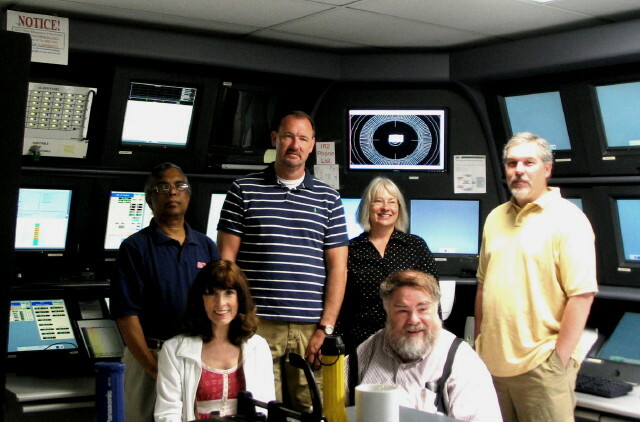 On our visit to the BABAR experiment we saw the control room and the detector. 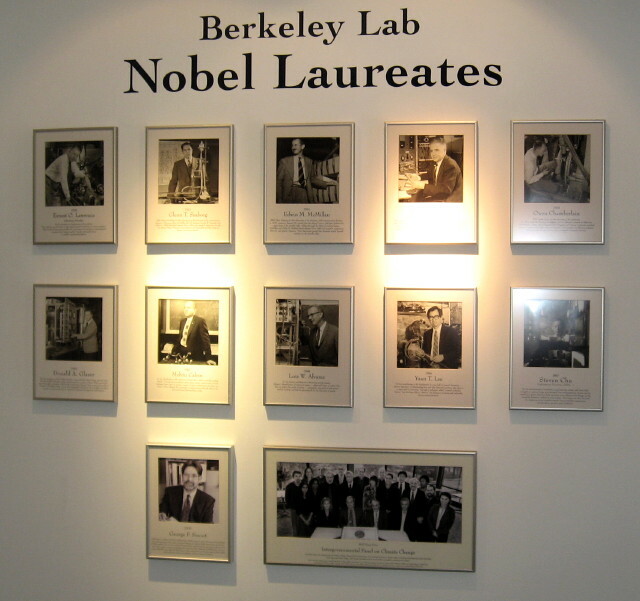 At LBNL we saw the visitors gallery and the Advanced Light Source	(ALS). 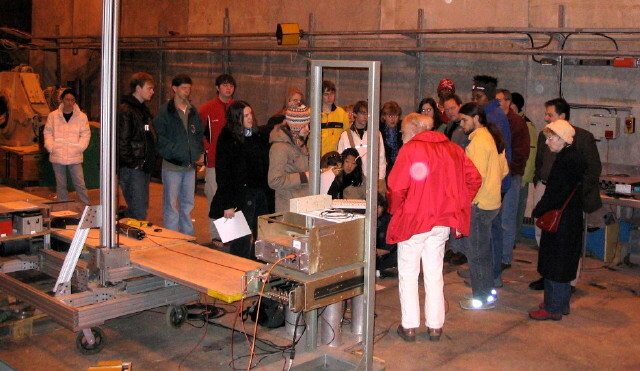 In June of 2008, we held a combined QuarkNet and LIGO workshop for both QuarkNet teachers and students. The QuarkNet Project is funded in part by the National Science Foundation and the US Department of Energy. The views and opinions expressed at this website are those of the authors and not necessarily those of the Foundation or Department.